*Toddler nutrition is very important to me. Sometimes I feel my toddler is not getting all the nutrients she needs due to her picky eating. That’s why I was thrilled at the opportunity to try out Enfagrow for toddlers as a part of this sponsored post program. We have all heard breast is best and I completely agree with this statement 100%. In fact I breastfed my toddler until she was 18 months an she self weaned. Breast milk offers so many key nutrients babies and toddlers need but not every family chooses breast milk, and even those who do may not think about toddlers and how important it is for them to still be getting key nutrients such as DHA that they may not be getting through their food. My toddler is an extremely picky eater! I am very lucky if I can get her to eat fruits and veggies along with a protein at every meal so I am very grateful that I can turn to Enfagrow Toddler as her drink during meals. Enfagrow Toddler has DHA which is important for healthy brain development. We have switched from giving Shelby sugary snack drinks to two servings a day of Enfagrow Toddler. Did you know that DHA is one important nutrient that’s particularly hard to get from the foods toddlers typically eat? On average, toddlers are only getting about 25% of the brain-nourishing DHA. If you don’t know what DHA is, it is a an omega-3 fatty acid and a an important building block for the brain. Since 85% of brain growth happens within the first three years of a child’s life, it is important to maintain the recommended levels of DHA through the toddler years. Enfagrow not only has DHA, it also has important nutrients like calcium, vitamin D and iron for healthy growth, and a prebiotics blend designed to help support digestive health in just two servings a day. 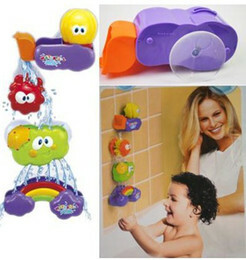 Enfagrow Toddler comes in a few different products depending on what your toddler needs. From Enfagrow® Toddler Transitions™ for toddlers ages 9-18 months, Enfagrow® Toddler Next Step™ for toddlers ages 1 and up an the Enfagrow® Next Step™ Ready-to-Drink Cartons for ages 1-3. All three products can be found at your local grocery store. I feel very confident that Shelby is getting all the nutrients she needs through her meals and the addition of Enfagrow Toddler! To learn more about the benefits of DHA in your toddler’s diet, you can visit www.enfagrow.com. For a chance to win, please leave a comment on this blog post about what you love about Enfagrow, or why you want their toddler to try it. NO PURCHASE OR PAYMENT NECESSARY TO ENTER OR WIN. A PURCHASE WILL NOT INCREASE YOUR CHANCES OF WINNING. LEGAL RESIDENTS OF THE 50 UNITED STATES AND D.C. 18 YEARS AND OLDER ARE WHO ALREADY HAVE INTERNET ACCESS AND VALID E-MAIL ADDRESSES ARE ELIGIBLE TO PARTICIPATE. VOID WHERE PROHIBITED. Promotion begins 9/8/2014 at 12:00 AM PST and ends at 11:59 PM PST on 9/24/2014. Odds of winning depend on the number of eligible entries received. Official Rules, eligibility, prize descriptions and odds disclosure are available at www.thesitsgirls.com/sweepstakes-official-rules. I’d like my daughter to try it because she is transitioning right now and I’m curious if this is something she’d like. I want our granddaughter to try Enfagrow because she is a new toddler. I want to make sure she has the DHA and nutrients she needs for proper growth and development. I love the fact that is tailored to the baby’s nutritional needs. I would love to use it because I would love for my niece to get stronger and grow up to be healthy. I think it is all about healthy choices. Toddlers would probably prefer to transition to soda or koolaid. This is a good time to remember that the todler will be modeling themselves after what the parents are eating. Aim for healthy choices and don’t sweat the occasional treat. I would like for my toddler to try this because it’s got everything she needs for growing and developing. I like that it provides the DHA that my child needs. I have no idea about DHA, I wonder if my sister knows about this for my niece. What I love about Enfagrow is that the glass chips in the formula scare is over. I want my toddler to try it because he only eats bacon. My little girl is lactose intolerant and we’ve tried over and over to switch her to some version of milk, silk milk or whichever, but so far, every time that we do, well lets just say it’s not pretty. We’ve tried Enfagrow and seen immediate results. My lil’ one didn’t get upset stomach or anything anymore. Not sure how long we’ll have to use it, but i don’t mind, i love that it has all the nutrition and vitamins that my little one needs.